The Rider Kicks Figure series is latest in a long line of budget gimmick figures. 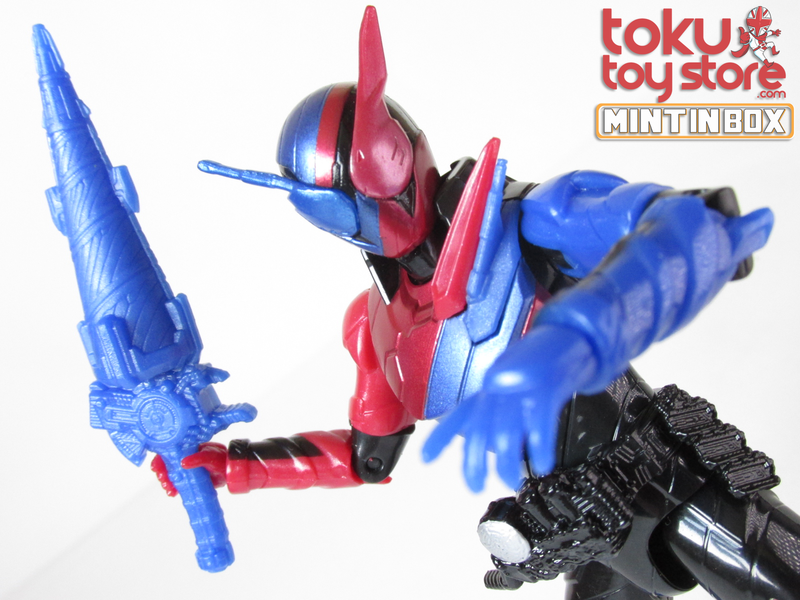 This year’s line of Legendary Riders takes back to the long-lost past of 2017 with Kamen Rider Build! Amnesiac genius, Sento Kiryu (桐生 戦兎), is a theoretical physicist who experiments with Full Bottles to further enhance his abilities as Kamen Rider Build to fight against the evil Smash organisms, re-unifying his fractured homeland and its people. This figure, as well as other Rider Kicks Figures, are available from Toku Toy Store at £24.99 each. Stay tuned for further Rider Kicks Figure reviews and galleries!